I was at the Headingley LitFest during a question-time on children's books. A children's writer in the audience asked the Sunday Times book critic Nicolette Jones whether it was OK to have long words in a children's book – or should he keep it simple? I can't remember exactly what Nicolette said to this but it was something along the lines of “it depends”. Which is the only sensible answer to give, really. It depends on the book. It depends on what the writer is trying to do. It's not actually something I've heard children's writers discuss much: vocabulary. Unless you are writing for a reading scheme, say, we write what we write, as the muse directs (or so we like to think)! But shortly afterwards I came across two different perspectives on the subject, from two of my favourite children's writers. The first was Judith Kerr. In her memoir, Judith's Kerr's Creatures, she explained that, inspired by Dr Seuss of Green Eggs and Ham fame, she deliberately limited the words used in Mog the Forgetful Cat. 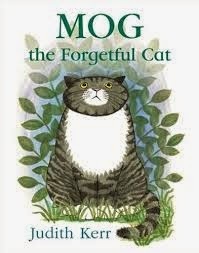 If Judith Kerr says it's so, it must be so – because Mog is one of the most brilliant picture books of our times. 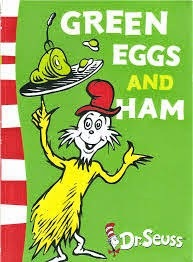 And the interesting thing about Mog is that it is not a book children typically use to learn to read. It is a picture book their parents read with them (my guess is that for many Mog fans, by the time they are learning to read themselves they will know Mog's story by heart.) So it's not just that Judith Kerr created a good “easy to read” book for beginner readers – it's rather that she created one of the most loved of all picture books, regardless of word count. She was able to create a great story which happened to use very simple language. “Once a lady wrote to him complaining that he used too many long words in The Magic Roundabout and how were children meant to understand them? He got out the Oxford English Dictionary and wrote back using all the longest and most difficult words he could find, like 'palimpsest' and 'oxymoron' (which sounds rude but isn't). He also wrote a strongly worded letter to a mother who had smacked her little boy for calling his sister a 'mollusc'." Intriguingly, both Judith Kerr and Eric Thompson seem to have been reacting against rather joyless adult views about what's suitable for children. In Kerr's case this was the "long and not particularly interesting stories with a lot of complicated words 'to enrich your child's vocabulary''' that she found at the local library (Judith Kerr's Creatures p68). In Thompson's case, it was the claim children could not enjoy anything they could not understand. Their responses, though in different directions, led to stories that have been loved by adults and children alike. More recently, though, I've changed tack, and my writing style has become simpler and more straightforward. It's true I have dropped the age range, but I think it's more to do with the fact that I've become interested in the story, first and foremost, and I haven't wanted big words and funny names to get in the way. 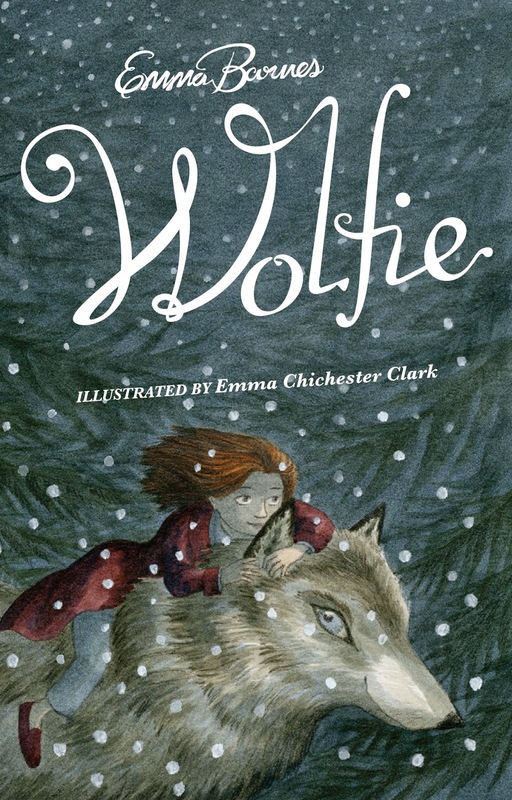 I suspect I'm part of a wider trend – I think language in children's books, especially in the Young Adult section, is generally simpler in part because so many books are now written in the first person by a child/teenage protagonist. I explained my choice of "said" was not because I didn't know any alternatives. And I read them a passage from my book, substituting different words – remarked, whispered, groaned etc. It soon started to sound daft. Furthermore (I said) a lot of the times people simply are “saying” and so it's by far the most accurate word to use. In addition, if I want people to focus on what's said, rather than being reminded that they are reading a book, then “said” is the nearest thing to invisible on the page. They got it. But their teachers looked mournful. It wasn't that they disagreed (they said) but if they taught that way their pupils wouldn't pass their tests. The official view was that long words were good, the more fancy adjectives the better, and always find something else to use instead of that humble “said”. Never mind. There are fashions in everything. 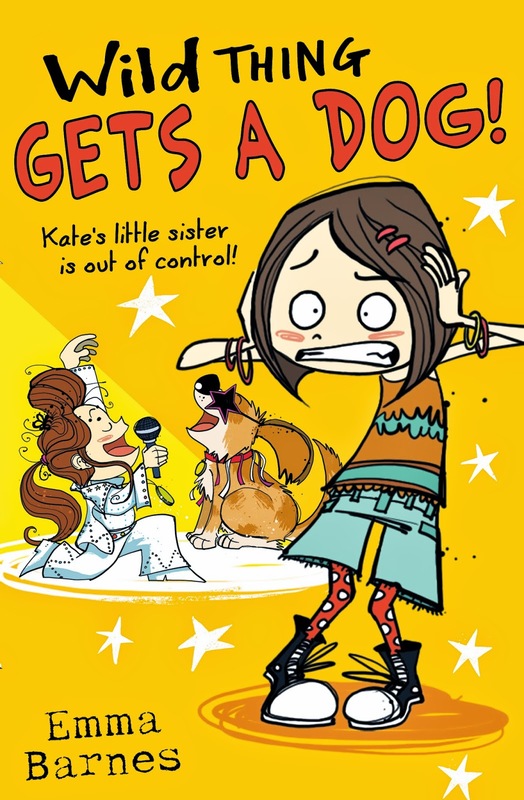 Emma's Wild Thing series for 8+ about the naughtiest little sister ever is published by Scholastic. I wanted the word "soporific" in my "word book" (which we kept for writing our "daily sentence" in the infants) in my first year at school. There was a row about it - even when I told the teacher, correctly, what it meant and intended to use it in a proper context. I was told to stop "showing off" and that I had to use "little words". I took words terribly seriously even then and had, of course, read my Beatrix Potter! I was a geeky kid who used long words but not everyone is the same. As you say, it depends. Tolkien wrote an essay in which he said it's usually better to give kids something a bit too hard for them than something too easy. As a teacher librarian I have found that's true. Kids who WANT to read something, even if it's too hard, will have a go. I've seen a girl who was an ESL student read her way through the Twilight series in four weeks. The words were definitely too hard for her, but she told me she worked out meaning from context(she didn't actually use the word "context" but it's what she meant.) Only if she couldn't work it out that way would she consult a dictionary. She went up four reading levels that year in our literacy program. But she wasn't a student with real learning difficulties, just a new English speaker. You do have to keep it simple sometimes, depending on who you're writing for. But you mustn't expect teenagers, even those with reading difficulties, to read "Mog The Forgetful Cat" or anything else written for younger children. They need complex ideas, simple words. Of course it depends on the story - depends on the reader - depends on the writer's style - but so DEPRESSING when the legislation gets in the way of the joy. Thanks for posting! Words are tools, just as guitars and paint-brushes are tools. You use the tool you need for the job in hand. My school has a streamed literacy program. I teach decoding, the lowest level, based on a test they do the year before. When one of my students started using words like "constitution" in the "words beginning with c" I knew he was probably in the wrong group. He was moved up after another test showed he was at least three levels higher. I had been an adult for a considerable time before I realised that the spoken "all be it" and the written "albeit" were the same thing. I had picked up the latter from context and could use it perfectly. I just assumed it was pronounced "al-beyt". Thanks for so many interesting comments - I thought I'd replied earlier, but no! Obviously age is important, as people have pointed out. Mog and the Dougal books are for a fairly similar age range, so I thought they'd be good to compare - or are they? The Mog books are very clearly aimed at pre-school children. 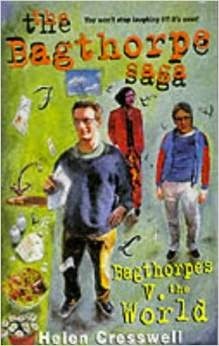 When I read the Dougal stories as a child, they weren't "picture books" but they were published with big text and lots of big, bold pictures and I expect they were often read aloud by parents. However, in the Bloomsbury re-issues the text is a lot smaller and so are the pictures. It seems that they have a much older reader in mind now - is this because they think the main market will be nostalgic adults, or because they think the big words and wit of the books rule out younger children?